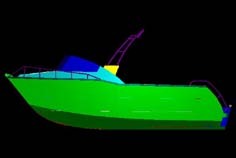 This boat has been designed for the Boater that wants to do everything either on estuary or ocean It has a strong sharp bow entry, flattening out to a 14 degree deadrise. So it skims off the surface without digging down, but it will cut through waves & chop very nicely. 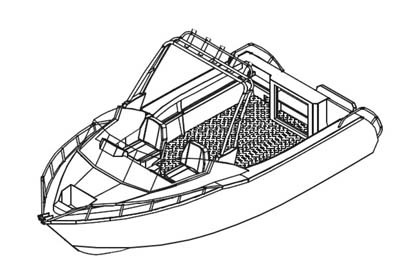 The boat has been designed to be an all rounder or as a tough fishing or diving platform. The floor is checker plate, (that can be carpeted if you wish) and there is dry storage under the forward cabin. 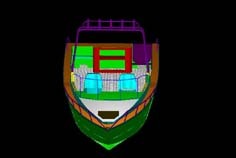 The transom has been designed with a transom door and locker for dry storage. 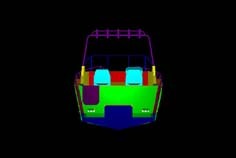 This boat comes standard with a 100 litre fuel tank and a in floor kill tank can be easily added. 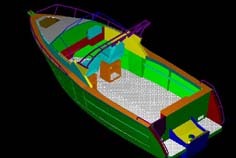 If you would like a Sabre-Gill Runabout and don’t feel confident of building it, one of our licensed agents will manufacture this boat for you. For more information or a list of materials in the flat pack, Feel free to contact us.